The Maxim series offers the innovative DuoForm mold processing - which provides you with a spectacle that is lighter with elastomeric browguards and temple accents for optimum facial comfort and impact/energy absorption. The patented, dual-aspheric lenses offer prescription quality clarity and are treated with DX anti-fog hard coat. 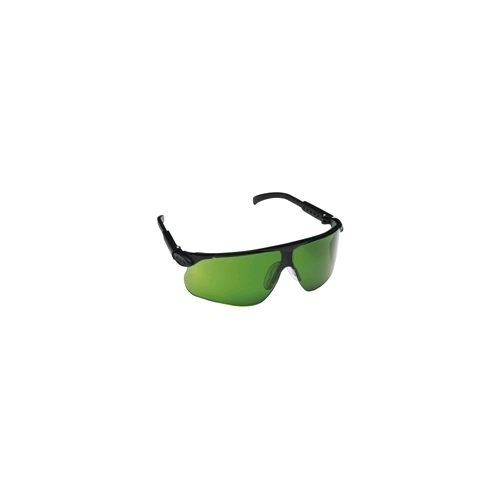 The patented 3-position pantascopic lens adjustment, andjustable temple lengths, soft universal-fit nosebridge and overall lightweight design of the Maxim all add up to make it an extremely comfortable, and effective source for eye protection. Meets ANSI Z87.1-2003.